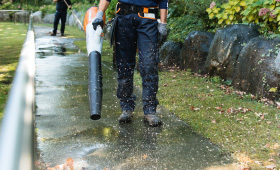 Ideal for cleaning in noise-sensitive residential areas and around hospitals, kindergartens etc. Cordless and emission-free. Low-wear, durable engine with infinitely variable engine speed. Powerful lithium-ion batteries.